Weight: 0.27 oz. 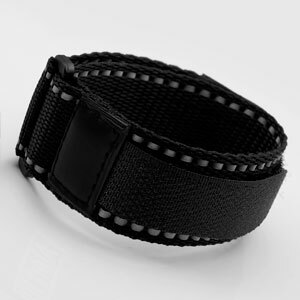 / 8 g.
This athletic strap band reflects light for nighttime safety. The strap is resistant to water and mildew resistant, but not fully waterproof.